The 2004 Indian Ocean Tsunami had a devastating effect on Khao Lak. However, any tourist visiting today would not find much evidence of it other than a few small museums and memorials. There were long term impacts that are often overlooked. 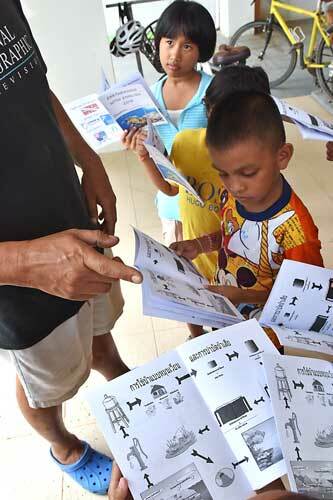 For instance, it has left an entire generation of children, some made orphans by the Tsunami, terrified of the ocean sitting on their doorstep. 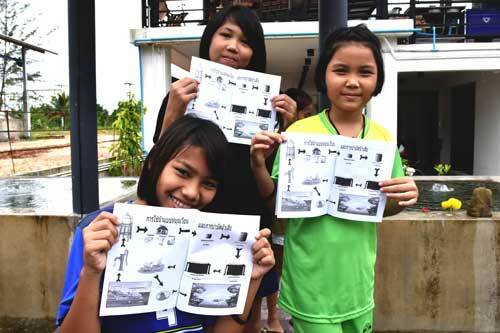 Many of the underprivileged kids staying at the R35 boarding School in Bangsak never learned how to swim. The ominous body of water stretching to the horizon, just a few kilometers from where they live, acts as a constant reminder of past tragedies. Now local teachers and companies are coming together to change that mindset. 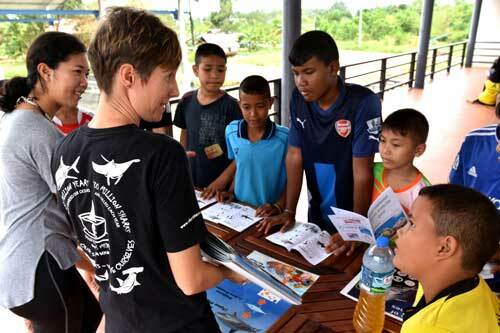 The Earthraging project was set up to teach local children water-safe skills and also to understand and feel more at home with their marine environment. And there is one very easy thing you can do to help! Read on to find out about all the excellent work being done with local School children and help spread the word so it can continue. Earthraging quickly evolved as various companies, charities and organizations became involved. There have been two main partners to really get the project off the ground. First were the School teachers at the R35 school. They help to get the permissions from the school directors, which can be a task in itself. This year one particularly enthusiastic teacher from last season came back to help with the program. Libby helped to organize the kids and briefed the new teachers on this program. Second to help were Wicked Diving, a Khao Lak based Scuba diving company. Wicked have helped organize all the logistics outside of the School. Wicked’s ‘Projects coordinator’, Lena, has taken the lead in getting everything going. Lena (who happens to be fluent in Thai) is in charge of all transport, safety and staff. However, she is also involved in much more. Arranging swimming lessons for 60 children at a time is not an easy task. Lena went to discuss the matter with Olan; the owner of a local dive academy called Andaman Sweetlips. Lena and Olan had brainstorming sessions of how to engage the students and keep them interested. 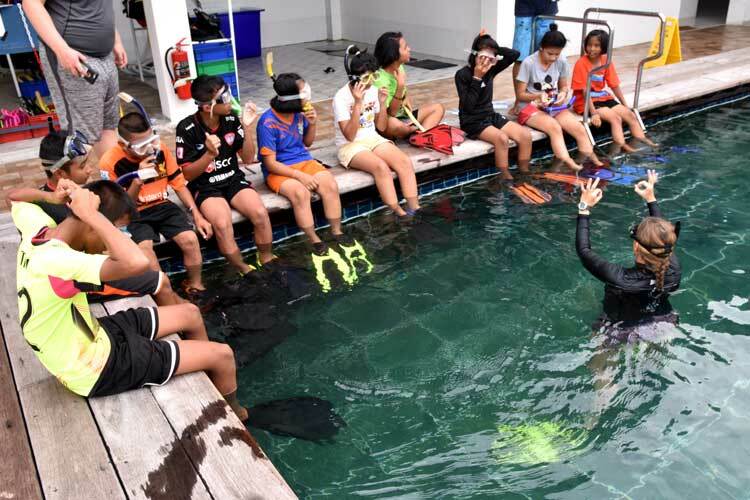 Olan offered the use of his dive academy to host the occasion and between them they arranged several different stations with the help of other local charities and organizations. The end product was very impressive. On the 16th November 2016, we went down to the Andaman Sweetlips Dive Academy in Khao Lak to see what they were up to. 120 students came over two days and were split into groups of 10 at a time. 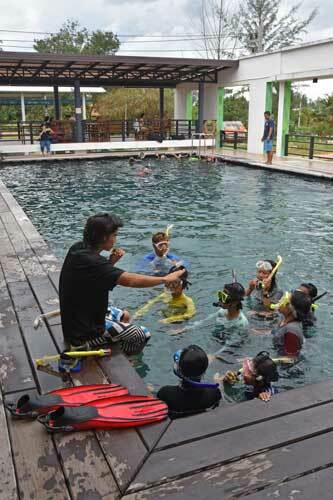 There were many different activities for the kids to take part in, but the highlight for most was getting in the swimming pool. Some of the students still looked frightened before jumping in, but they all quickly got involved. 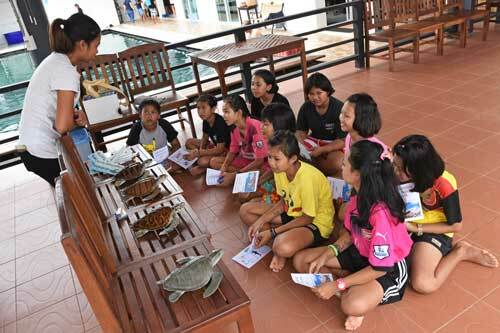 Presentations on turtles and sharks showed the children some of the more interesting species living in their area and taught them about the dangers that they faced. Sharks are friends, not food! 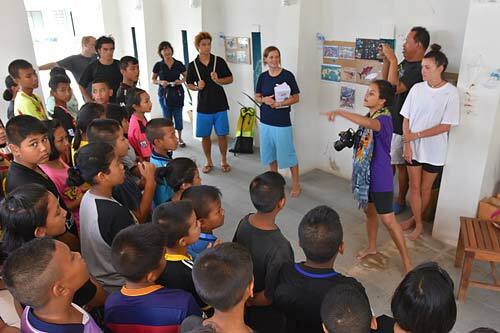 Projects coordinator Lena from Wicked Diving and owner of the Andaman Sweetlips Dive academy (hosts of the days events) taught the kids the benefits of reducing our waste, reusing plastics and the benefits of recycling. 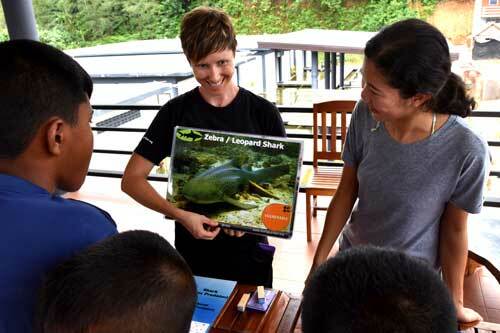 Wicked Diving’s projects coordinator Lena, teaching the students about where all the plastic they use finally ends up. The Answer? Microplastics in the ocean, then eaten by the fish and eventually on our dinner plates! 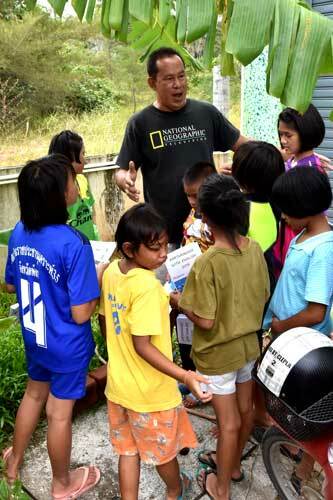 Volunteers are always welcome for these projects but there is something else you can do. Even with funding, willing volunteers and enthusiastic students, sometimes these programs still come up against a brick wall. New ideas, no matter how good they are, can be difficult to implement. A school curriculum is a difficult thing to change. 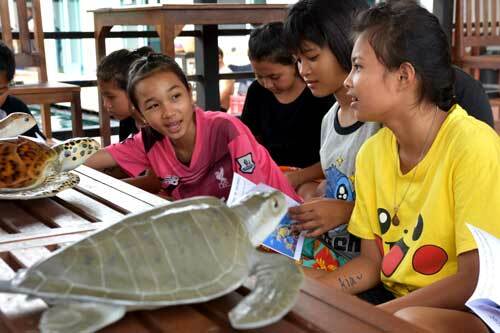 If you live in the Khao Lak community then one of the best things you can do is to talk about it. Tell your friends and family about all the good work being done here and hopefully more exposure and support will make it possible for more long term changes and reach even more local students. 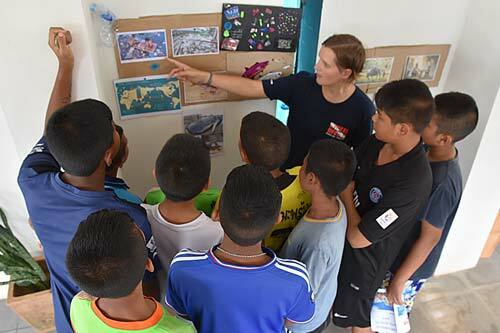 From everyone at Khao Lak 813, we fully respect and admire everything being done by the R35 School, Earthraging, Wicked Diving, Andaman Sweetlips and everyone else taking part in these activities. Keep up the great work!